Without internet connection for two days, I feel there is so much I have missed sharing! Very first, I want to thank Tiffany at New Orleans Children’s Hospital for helping me to be able to meet individually with children fighting cancer and their parents. This is the very first time I had the opportunity to go to each room to meet the children. I will be entirely honest with you when I tell you that my intention– each time I entered a new room– was to share hope with everyone I met in the room. By the time I walked out of each room, it was me who was inspired by the children. Each child, from little bitty ones, to teenagers, gave me something in my heart that I cannot even describe with words, as hard as I search for them. I met a one-year-old boy who had spent eight weeks in intensive care, with kidney failure and liver failure. Yet, there he was, sitting up by himself in the window seat of his room, like a real-life miracle. He was a bit timid at first, but when I showed him a photo of me with no hair and a therapy dog, he relaxed and smiled. The teenagers I met were very different than the little ones. They have a much greater understanding of what they are facing, and I could sense their fear. When I pointed to their beds and told them I was right there where they are three years ago, I could see their expressions change. And this is why Mom and I are traveling on this mission. 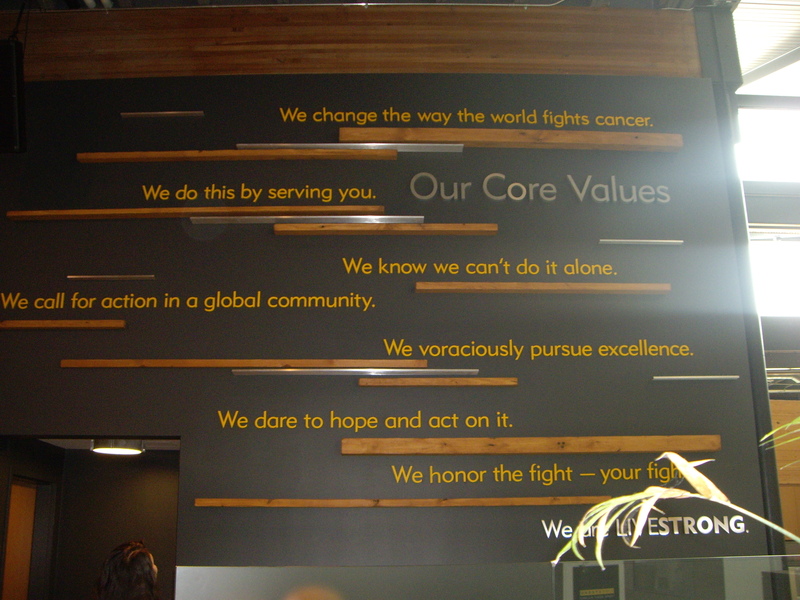 We want HOPE for all of the children fighting cancer. We want less toxic treatments that will allow more children to live and to live a healthy full life after their battle. More people need to come forward to help, just like Benji Palus. I had the amazing opportunity to meet Benji at New Orleans Children’s Hospital when I was finished meeting with the children. Knowing how Benji volunteers hours and hours of his time to help children at the hospital, I imagined he must be quite a special person. When I actually got to meet him, his warmth, joy, and love far exceeded my expectations. Is there anyone who would like to hop on board the stop childhood cancer battle and become Benji-like? These hospitals need volunteers like Benji; the children need them and the parents need them. Sorry about the photo posts– click to see the whole photo! On Friday night and Saturday, Mom and I attended the American Library Association Conference. To our great surprise, we met someone who helped us through my cancer treatments. When I was first diagnosed, my social worker, Robyn, gave us books and information. 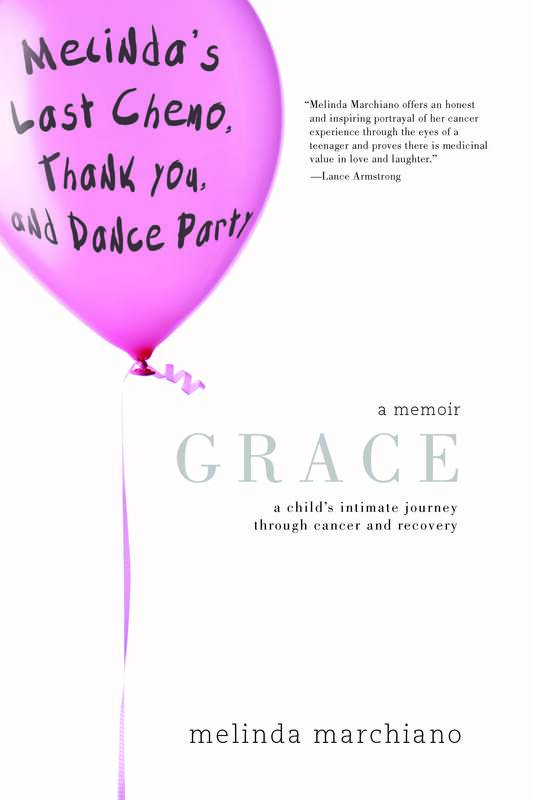 One of the books was written by a mom whose child survived cancer, and her name is Nancy Keene. I can see many of you who have lived in the world of childhood cancer nodding your heads like you know exactly who she is. Well, she and her lovely daughter, Allison, had a booth at the conference and Mom and I nearly screamed with delight when we saw she was there! We spent a long time talking together, and meeting her was the absolute highlight of the whole conference! Today, we arose quite early and pointed HugoHopeMobile toward Atlanta. We traveled from Louisiana, through Mississippi, through Alabama, and into Georgia. Tonight, we are plopping into our beds in Atlanta. Tomorrow morning, we’ll be rising and shining early to go to Children’s Hospital of Atlanta. After that, we’ll continue northward to North Carolina. Unfortunately, I heard back from Duke Children’s Hospital. and I have to be eighteen to be able to visit with patients. Looks like I will have to use my time there wisely. I have an appointment to look at the University. Dr. Kleinerman told me some very great things about Duke University! I will be filling out college applications this coming fall. One way or another, cancer, I am out to stop you! HugoHopeMobile brought us from Houston to Louisiana today! There were drivers along the way who waved at us; they must like our childhood cancer HOPE signs on Hugo. Our drive today was filled with “ooooooohs” and squeals as our eyes feasted on the lushness of the land. I had no idea that there would be roads we would travel here in Louisiana that are built like bridges above the bayou waters– and they go on for miles and miles. The city of Baton Rouge had our jaws dropping to our chins as we gazed at the huge port. And most exciting of all was when I saw my very first legit mossy Louisiana bayou tree! Tomorrow morning, we will go to New Orleans Children’s Hospital and tomorrow night, we will attend the American Library Association Conference. I am very, very happy that we are receiving gracious replies from the hospitals we want to visit along our way. I am grateful to each and every person at each hospital for helping me on this mission. What mission is this, Melinda, you ask? ***Each school day, 46 children are diagnosed with cancer in the U. S.
***Each day, 7 children die of cancer in the U. S.
***When children are diagnosed with cancer, 80% have advanced stages of the disease, as compared to 20% in adults. This is due largely to lack of awareness. I am on a mission to help these children. They truly need our help. Please think about what you might be able to do– what you might be able to give. Please consider giving money or time. The very best thing you can give is your true understanding. Once you understand, there will be no way you cannot do something, anything, to make a difference for the future of our dear children. Sorry no photos… the hotel internet connection won’t allow me to today! What an incredible day it was today in Houston. We began our day at Texas Children’s Hospital, and I want to thank Jameee for her kind hospitality in showing us all they have for the children. Where I was treated, at Cottage Hospital in Santa Barbara, the children’s section is a small portion of the main hospital. Can you imagine how my eyeballs bugged right out of my skull when I saw that there is an entire Hem/Onc floor at Texas Children’s?! It is a wonderful place, with everything possible to help children get well and to help families help their children. 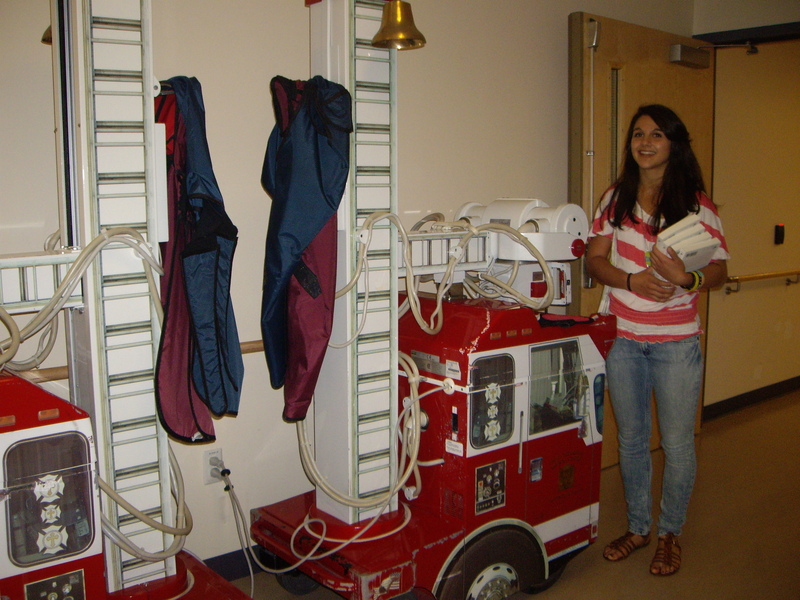 Ronald McDonald House has a section that provides a kitchen and food for families so they don’t have to leave the hospital. There is a “stage” for performances and there were children everywhere, doing activities and what kids do best– being kids. The blood lab was on the same floor, meaning that results from blood tests arrive very quickly. They have an “Infusion Suite” and more great services than I can even begin to tell you. After our time at Texas Children’s Hospital, I was honored and blessed to meet someone who I admire tremendously for her dedication to fighting pediatric cancer. I began communicating with her about a year ago, and today, I had the chance to sit and talk with her. Someone came to the front desk and escorted Mom and I back to her office through a maze of rooms that gave me, the Chemistry-Nut, chills. It was so cool! This woman’s name is Dr. Eugenie Kleinerman. I admire her, I respect her, and I want to follow in her footsteps. She graciously gave her time to share with me. Honestly, after I left, I was so inspired about my future in medicine I felt I could cry a bucket of tears. As I write this now, the tears are billowing. I will always remember what she gave me today. Dr. Kleinerman gave me a gift from her heart, and I will store and protect her gift in a very special place in my heart. When Mom and I started out on our Hope Tour, we were excited about all of the unknowns we would be surprised with as we travel. First thing this morning, we walked from our San Antonio hotel to Christus Santa Rosa Children’s Hospital. On our way, we were delighted with a great surprise. Walking in front of us was a man with earphones that had to be playing, “Tell The World That Jesus Lives,” because he was singing it at the top of his lungs so everyone could hear. He was punching his arm in the air and loving life. Yes. This man blessed our day with his faith; he sang with his whole heart, and it made no difference that it was off key! The blessings continued as we met the Child Life Specialist, Jennifer, and saw the wonderful hospital. They have an amazing library with a lot of books for the kids and they even have computers in the library so families can stay in touch with loved ones by email. 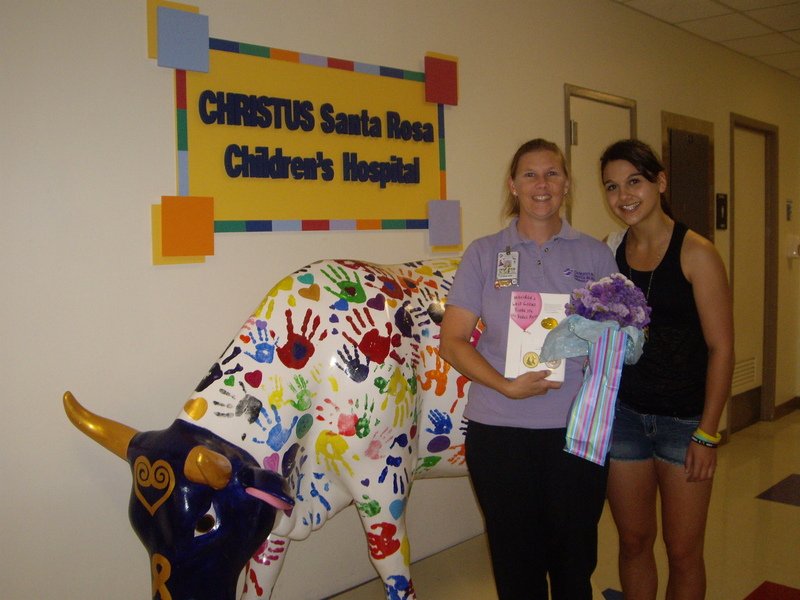 Another favorite part of the hospital was “The Cow.” All of their Hem/Onc patients placed their handprints on The Cow. I don’t think the impact of that will ever go away. 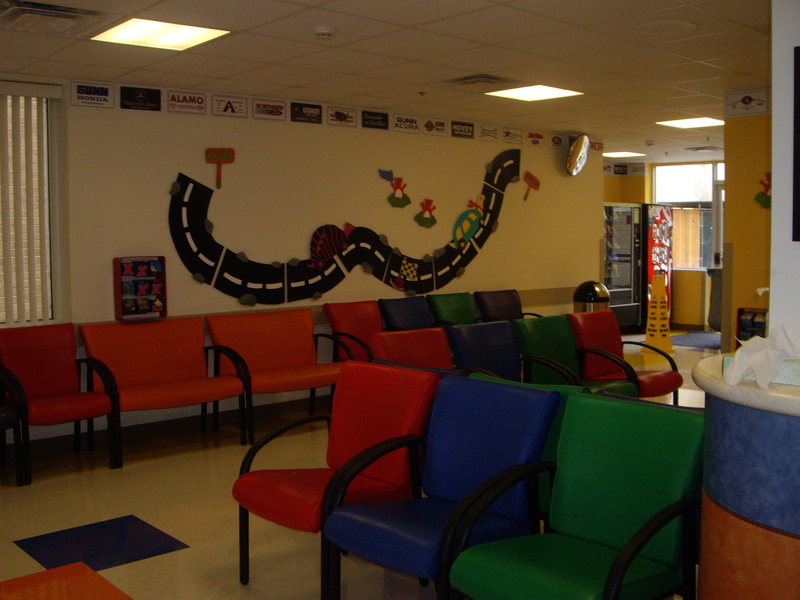 Even their emergency room was decorated with bright, lively colors and decorations that would make any sick child feel better in some way. I am so happy to have had the opportunity to see what San Antonio has done for their children. They must love them a lot! And Jennifer, I am very, very happy to meet you! Before we took off for Houston, we walked to The Alamo. (Told you I didn’t think we could leave San Antonio without going!) Some people say that it’s just some old buildings, but there is so much more if you stop to feel and not just look. What I will remember is the room where the women and children survived as The Alamo fell. I looked into that room, and it wasn’t just an old room in an old building. Real people who lived and loved and died left a big impression on me today. To top off our day today, we met a very special man and his wife. Many of you know this lovable man from the videos he so carefully, kindly, and compassionately puts together for children fighting cancer. We met John Gavin and his wife, Linda! I will share with you that John is even more lovable in person, and Linda is just the same. What a beautiful gift John has given to many of us; I am grateful for his heart for children. Mr. John Gavin and his wife Linda with hearts bigger than the size of Texas! HugoHopeMobile will be buzzing around Houston tomorrow! Happy Father’s Day to each father! I need to send deep love today to fathers who have lost their children; I am so sorry for how difficult and painful this day must be. I realize there are no words of comfort; I want you to know how much I truly care and how hard I will fight to stop childhood cancer. I was so happy last night to be able to see my Aunt Phyllis! My Aunt Phyllis and I were what I called “chemo buddies,” because we went through cancer treatments at the same time. She is very special to me! Lou and Aunt Phyllis traveled from their home in Las Cruces to our hotel in El Paso so we could have some wonderful time together. Thank you, Aunt P and Lou! Today, Mom and I traveled from El Paso to San Antonio—road warriors that we are— even driving between a raging fire on both sides of I-10. The westbound side of the freeway was completely shut down, but the eastbound side (that would be us in Hugo HopeMobile) was bumper to bumper traffic for miles as we crawled through the smokey chaos. Thankfully, we are in San Antonio tonight. I can see the beautifully lit rotunda and American flag flying outside of our hotel window. We walked down by The RiverWalk tonight. It’s very pretty! One thing I find hysterical are the boats that travel down the river—just like the Jungle Cruise at Disneyland! This morning, just as the roosters began crowing, Mom and I hopped into our Jeep Patriot rental car (who we have already fondly named “Hugo”) and began driving eastward. The windows are decorated with my non-award-winning artwork– childhood cancer awareness and HOPE signs. The back is packed to the brim for our three week trip, and I am so excited about the adventures and the possibilities that lie ahead. Each day brings new responses from the children’s hospitals we have contacted; although they have never heard of someone doing this, they have been wonderfully receptive and kind. Tomorrow morning, before we leave Arizona, we will see the brand new children’s hospital here in Phoenix. I won’t be able to visit with any of the children here because they are moving to the new hospital. I want to thank Teri from Phoenix Children’s Hospital for trying her very best to make it happen! Their staff is delighted about the move, and I have discovered that even the hotel desk clerk speaks of the new hospital with pride. Adventure is fun. Adventure with a huge purpose is thrilling.